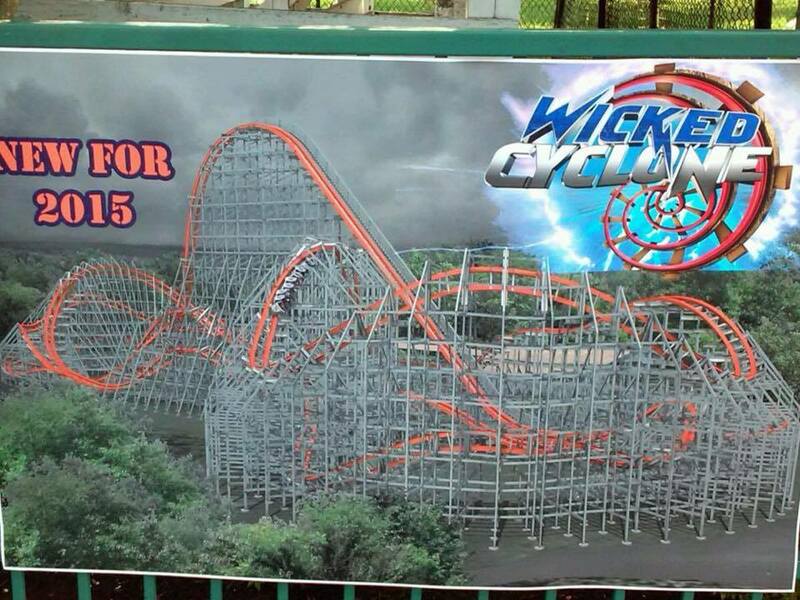 Here is our first official Wicked Cyclone construction update. This update shows how much track work was completed in the last couple of days. 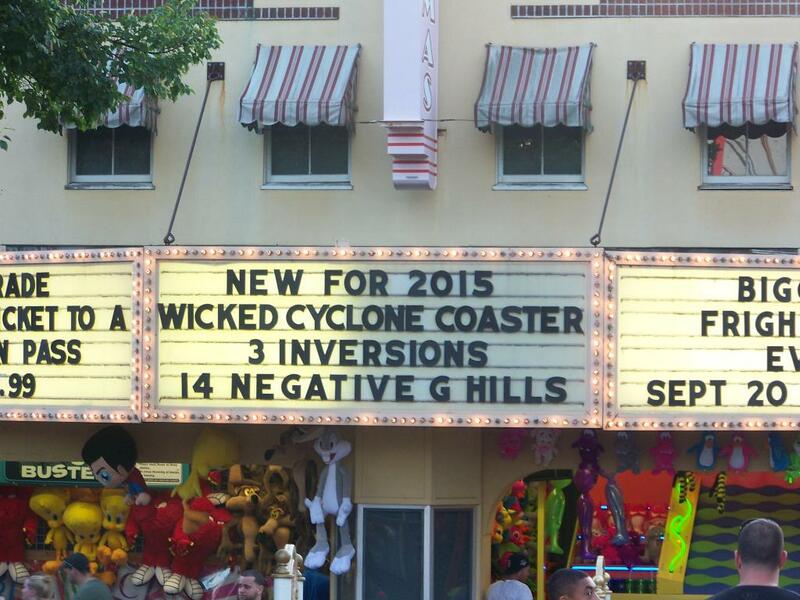 Just this past Thursday, Six Flags New England officially unveiled their newest coaster, Wicked Cyclone. 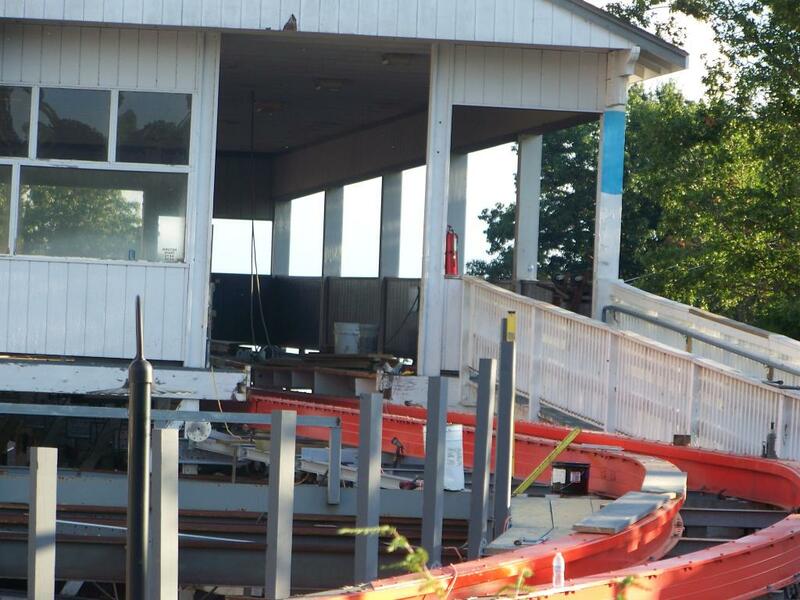 We’ve been documenting the process ever since the Cyclone roller coaster closed on July 20. For that reason, we’re just going to continue with the numbering we’ve had since then. Click here to be taken to a page where you can see the previous five updates. 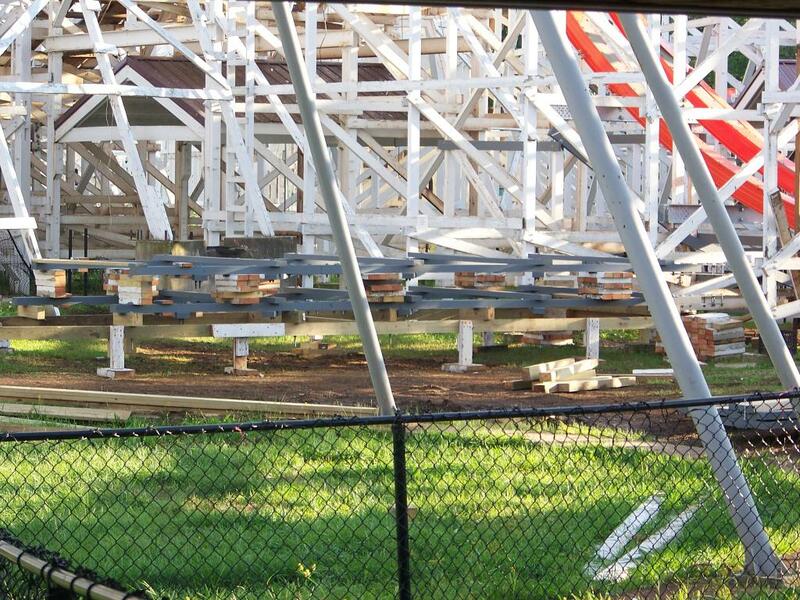 Not only was the station track and the track for the turn out of the station put into place, but they have started to install the track for the lift hill. You may be wondering what those pieces are that are missing. Don’t quote me on this, but it appears as if this is Rocky Mountain Construction’s third generation I-Box track. 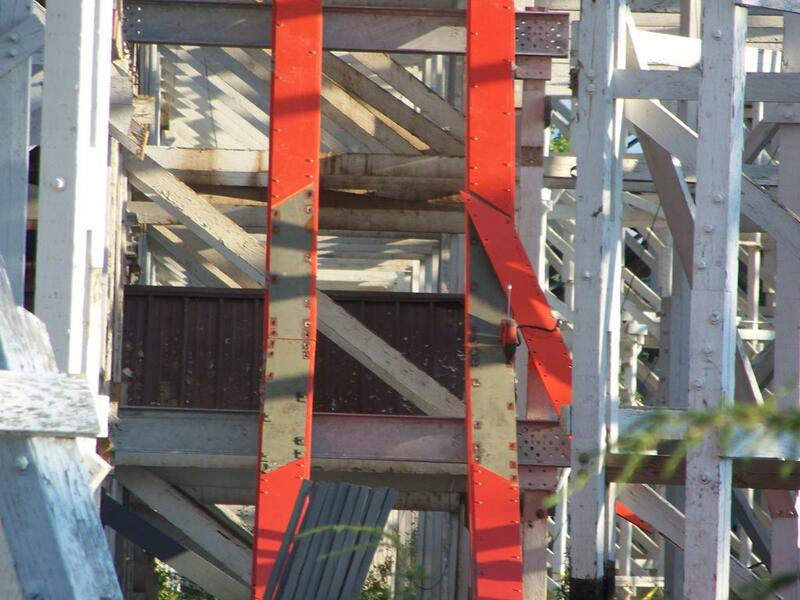 With Iron Rattler and Medusa Steel Coaster (and also their topper track coasters) they would install the track with something called the road steel missing. The road steel is where the track would run. After all the track pieces were installed, the crews would then go around and cement the road steel onto the track. 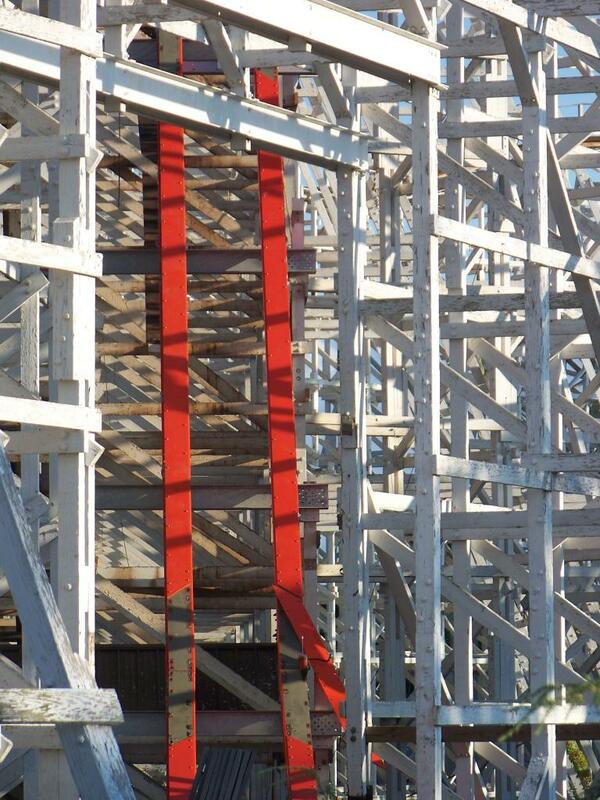 Texas Giant was a prototype so it used a slightly different version of the I-Box from the other coasters. With Wicked Cyclone, however, it looks like this process was done while the pieces were manufactured. This should speed up the construction process. 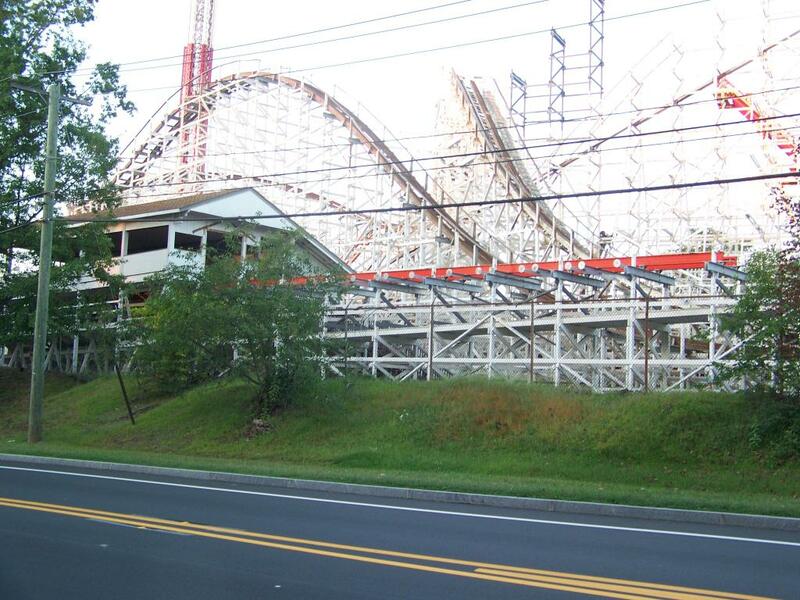 Here you can see how steep the lift on Wicked Cyclone will be. I believe it will be a 45° lift hill. 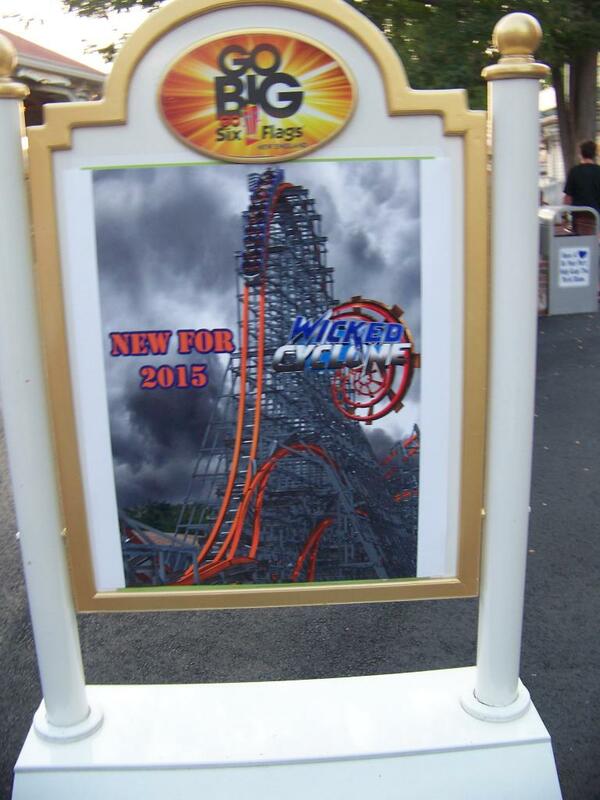 Read our write up about Wicked Cyclone’s announcement to learn more about how this will impact the coaster. 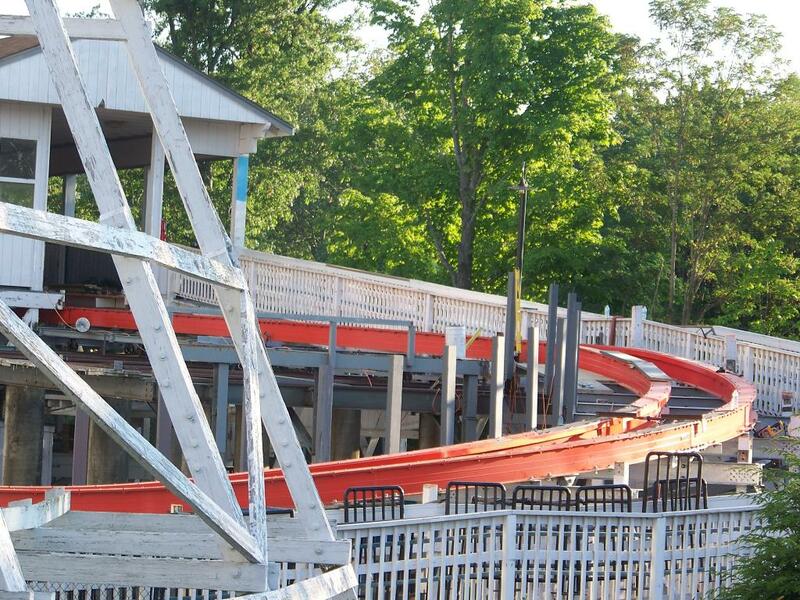 More of the supports for the update lift hill are being painted and put together. 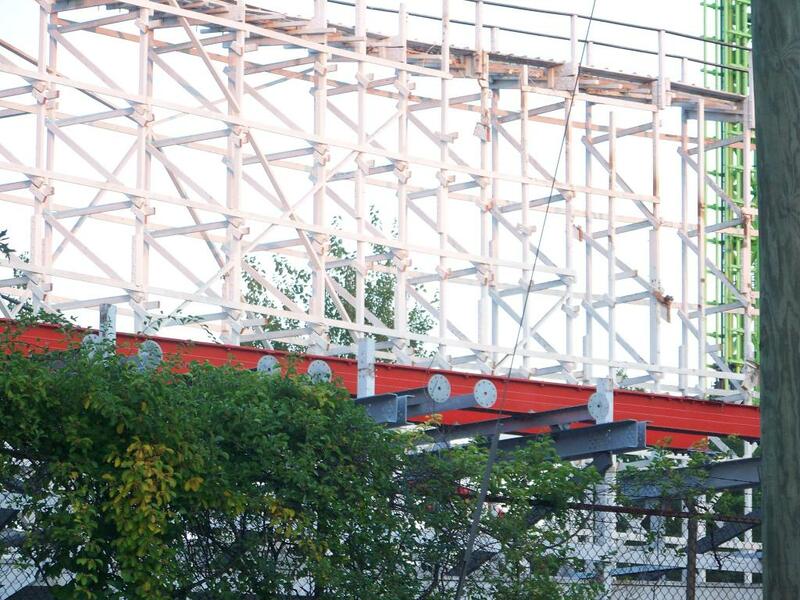 All of the track that was in the maintenance area last week is now gone. So I assume they’re going to start cutting down more of the structure/putting up new bents. 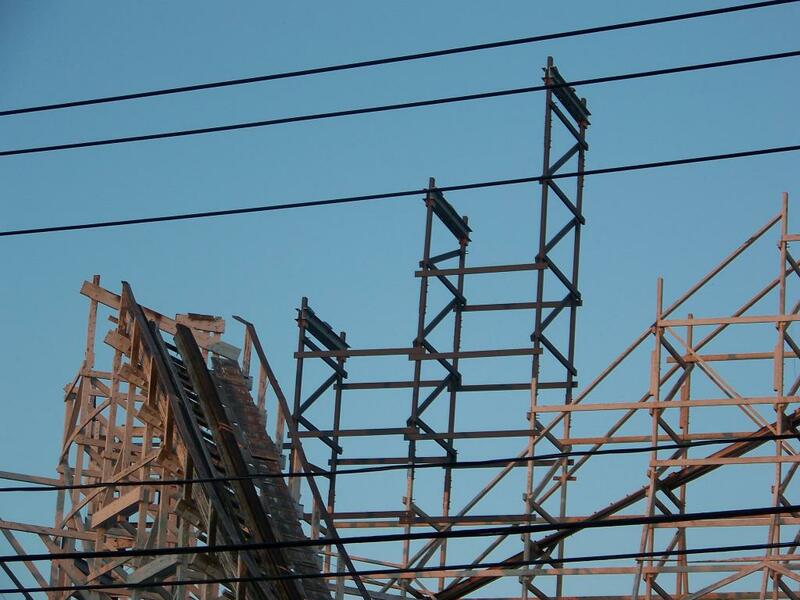 Here’s another angle showing off just how steep this lift hill will be. 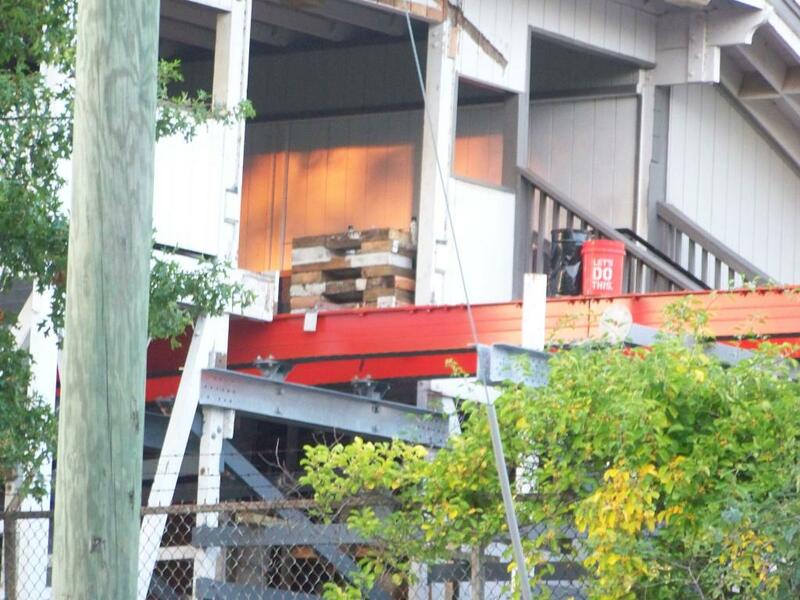 In addition to the station and lift hill, they have also placed the brake run track. 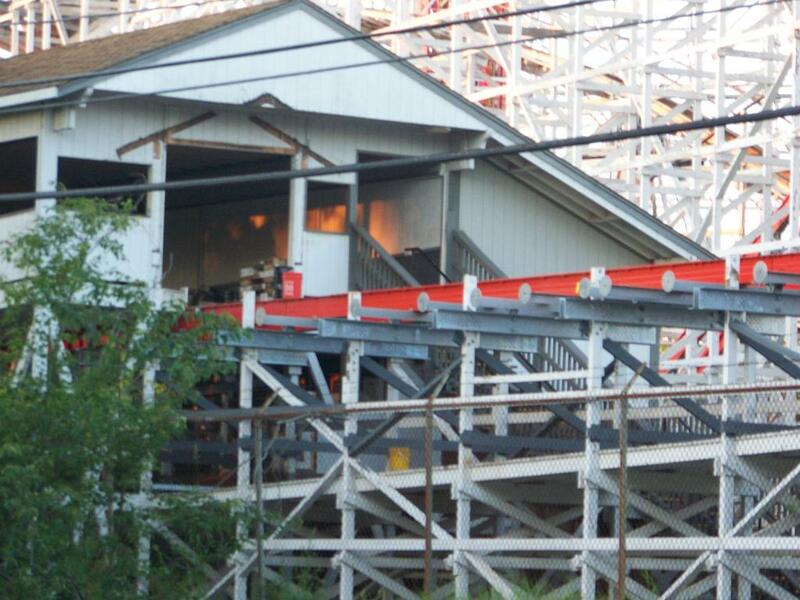 Wide shot of the brake run. 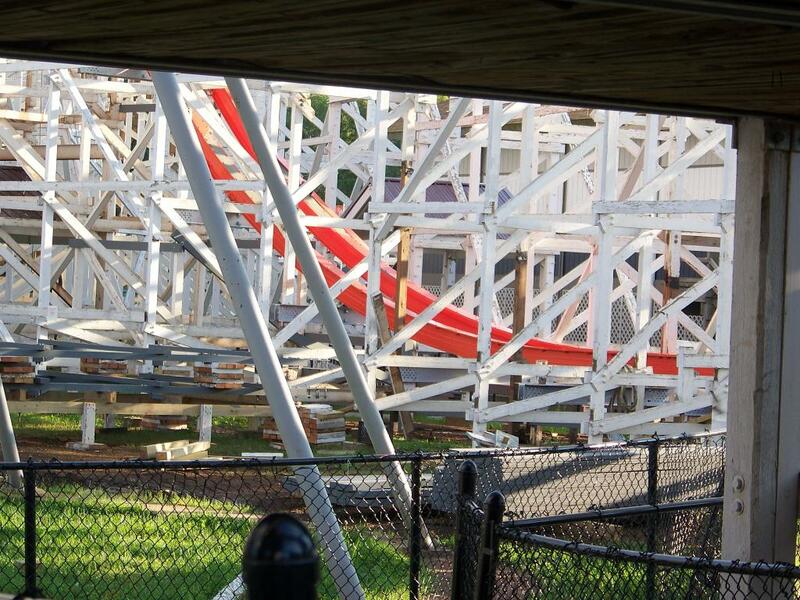 It’s strange seeing three different track types at once on one roller coaster. There’s the regular wooden coaster track, Rocky Mountain Constructions topper track (added in 2011), and now the RMC I-Box track. Pretty cool. Thanks to koasterkid on the forum for pointing this out. That’s it for this week’s update. 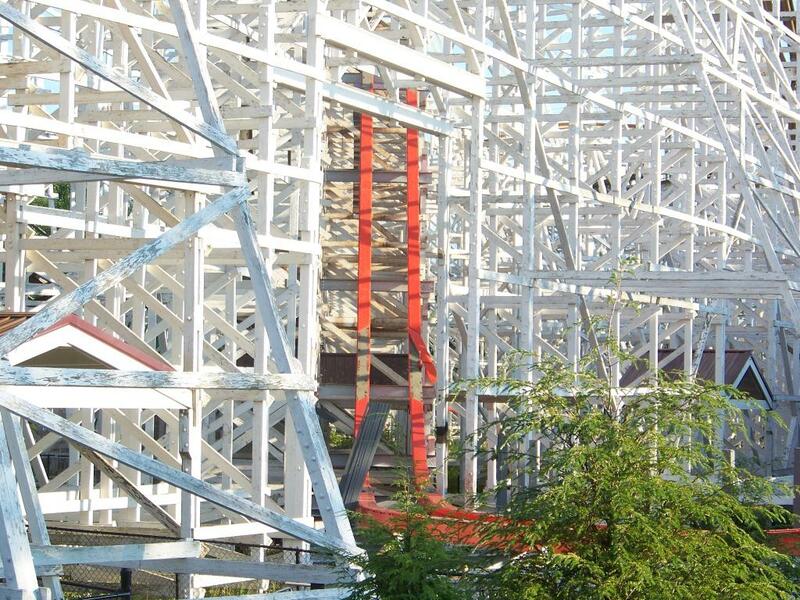 Curious about why Six Flags named this coaster, Wicked Cyclone? Want to know what’s up with the strange head on the front of the train? Be sure to read our Wicked Cyclone write up to learn the answers to those questions and much, much more! Next story Buccaneer Beach coming to Great Escape in 2015! 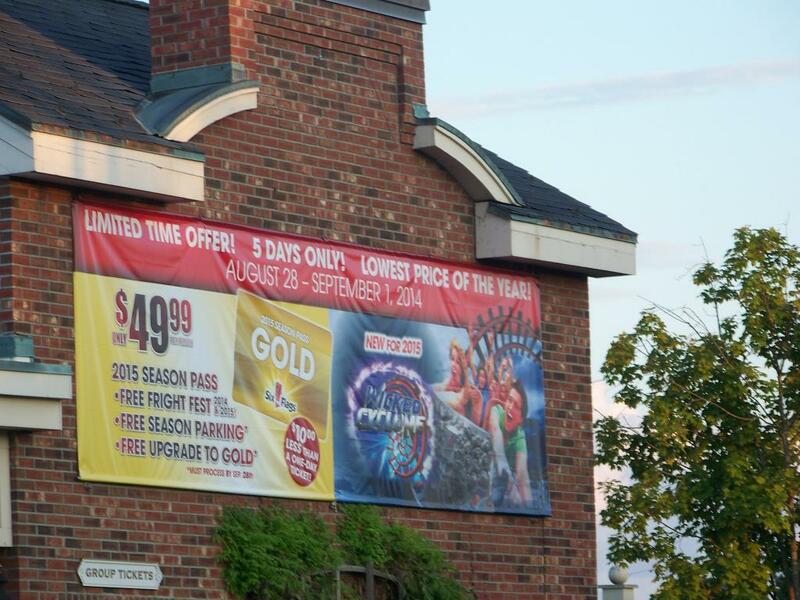 Previous story Looping Dragon is coming to Six Flags Great Adventure in 2015!